It’s the time for celebration for one more success in Digital India Campaign as the Railway Minister of India yesterday announced the paperless booking of unreserved ticket and platform ticket in India through a mobile app UTS. The appUTS, is now available in the Google Play store. It has been developed by the Centre for Railway Information Systems (CRIS). The passengers are not limited to show the print out of the tickets as they can show the soft copies in their mobile phones to the TTE. This initiative of Indian Railway will not only help in green environment initiative but will also save the important time of the passengers being in long queues to take a ticket. The paperless platform ticket programme would cover the major sections in the Mumbai suburban sections, New Delhi and Hazrat Nizamuddin stations in New Delhi. A commuter can book the ticket within a range of 30 metres to 2 km of a station. With the help of satellite (geo-fencing), a band on the sides of the tracks is marked to ensure that the ticket is not booked near the tracks. However, tickets can be booked before entering the station premises. Such an initiative is already being tried on Egmore-Tambram suburban section in Chennai and Churchgate-Dahanu section in Mumbai and Delhi-Palwal will be the first in the north zone. 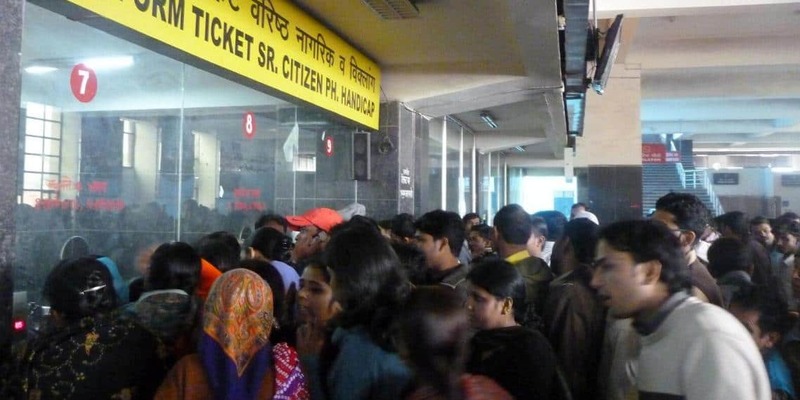 It was a budget proposal to provide paperless tickets in unreserved segment and we have to implement it in all suburban sections across the country, the railway official said.